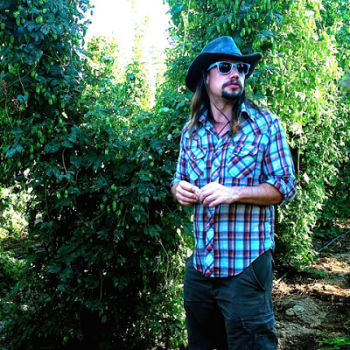 Jeremy Marshall is Brewmaster for the Lagunitas Brewing Company, Petaluma, CA and Chicago, IL. Mr. Marshall attended the Master Brewers Program at UC Davis, California and successfully completed the Institute and Guild of Brewing and Distilling Associate Membership Exam in June of 2003. Mr. Marshall immediately began working in the brewing industry and over 14 years has worked in packaging, cellar, filtration and brewing. He is currently in charge of 5 direct reports who oversee a total of 50 brewing managers, supervisors and shift operators. Annual output of the Lagunitas Brewing Company has grown from 21,000 to over 1,000,000 hectoliters under his supervision. Distribution has also expanded to include all of North America, U.K and a growing region of Europe. Jeremy has been a member of the IGB, Brewers Association and Master Brewers Association of the Americas since 2003 and has been a guest speaker at various panels and workshops. Mr. Marshall is considered an expert in dry hopping and also works very closely in connection with hop breeders and processors in the development of new hop varieties and hop processing technologies.